Please select an option Blue Burgundy Ivory Navy Sage Grey White Taupe Brown Purple Aqua Spice Gold Please select a COLOR. Please select an option Full Twin Queen King Please select a Size. Bring comfort and style into your home with these Egyptian cotton sheets and pillowcase separates. With a variety of colors to choose from, you're sure to find a set that matches your decor. The elasticized corners make it easier to spread the fitted sheet, and the 1000 thread count of the contemporary sheets and pillowcase ensures optimal durability. 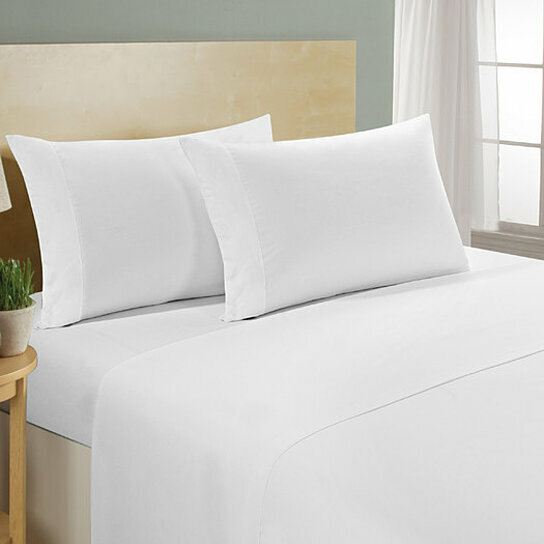 These sheets are made to last a lifetime with their 1,000 threadcount cotton. You should wash them before first use and with every wash they get softer and more comfortable. They soon become like your favorite pair of jeans! Care instructions: Machine washable. Plugster Tip: Wash sheets several times to achieve optimal softness. Deep pocket to fit mattresses up to 15"
Full: pillowcases 20"x30"; fitted sheet 54"x75"; flat sheet 78"x96"
Queen: pillowcases 20"x30"; fitted sheet 60"x80"; flat sheet 90"x102"